If it's on our labels, then it's in our bottles. Full dosing, full transparency and no proprietary blends. Clinically studied ingredients backed by real science. 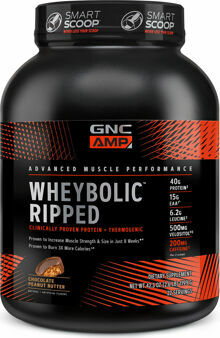 The most effective and premium performance protein available. Get ripped. "An 8-week, randomized, double-blind, placebo-controlled study of 33 healthy mean complared the effectiveness of this proprietary module of whey protein and leucine vs. isocaloric carbohydrate placebo consumed before and after resistance training. Subjects consuming the leucine-whey protein supplement experienced greater increases in muscle strength than those on the placebo. Leucine-whey protein supplementation also increased muscle cross-sectional area from baseline. In a randomized, double-blind crossover clinical trial that included 20 recreationally trained, healthy male subjects, those taking 10g whey protein isolate plus 10g leucine immediately post-workout showed significant increases in key protein (p70s6k & rpS6) associated with muscle protein synthesis.